Samsung galaxy S3 Mini SM-G730V user guide manual for Verizon – Samsung Galaxy S3 Mini SM-G730V available since November 2013 for Verizon Wireless and is the second Samsung Galaxy S3 Mini feature phone for US carrier after SM-G730A AT&T version. 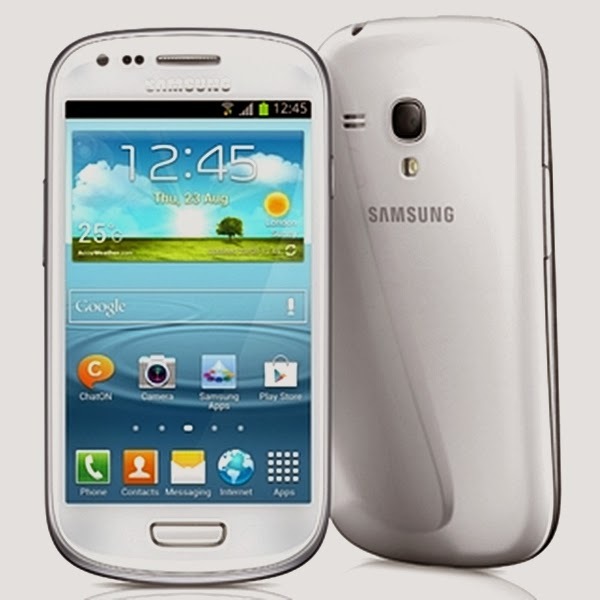 Samsung Galaxy S3 Mini for Verizon Wireless will run better at 4G LTE network as the network has claimed and with its simplify task. Verizon Samsung Galaxy S3 Mini at this time offers with 2 year agreement free shipping from the carrier for their new customers. Samsung Galaxy S3 Mini SM-G730V equipped with specifications and key features such as: 121.6 x 63 x 9.9 mm (4.79 x 2.48 x 0.39 inches) in dimension with 11.5 g (3.92 oz) in weight, 4.0 inches Super AMOLED capacitive touchscreen display 480 x 800 pixels screen display 16 million colors with multitouch, microSD up to 64 GB, 8 GB internal storage, 1 GB of RAM, 5 megapixel rear facing camera with autofocus and LED flash, VGA as front facing camera, run Android 4.3 Jelly Bean operating system, powered by 1.2 GHz dual core processor Qualcomm MSM8930, Li-Ion 2000 mAH battery (removable) with up to 11 hours of talk time and up to 15.42 days of stand-by time. Samsung Galaxy S3 Mini user guide manual available to download in pdf file format with 5.77 MB size and contains of 223 pages. Samsung Galaxy S3 Mini manual pdf will helps Verizon Wireless customers on how to use the smartphone in safe with important information includes such as: key features explanation, function added tips and some settings.